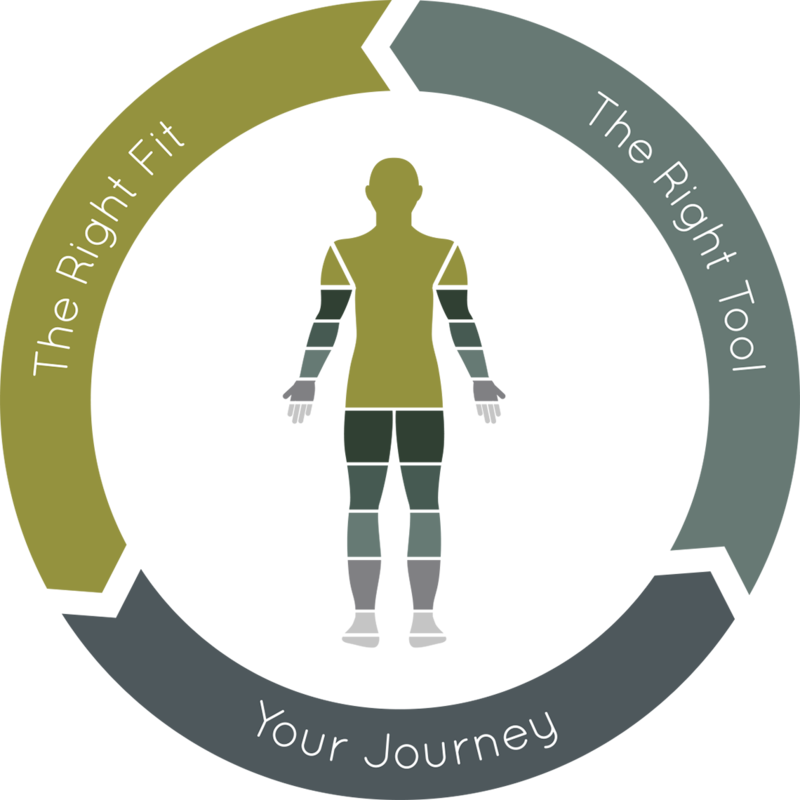 Your Journey - LIMB LAB LLC. We are here as a resource for you and your family. If you’d like to connect before your surgery, we can answer questions about what to expect. We can get you in touch with others who have been down the same road and want to support you. Call us at 1-844-LIMB LAB to get started. Amputation is described as the separation of a bone in healthy tissue or the removal of a limb at a joint. Amputation surgery may be necessary if an injured or diseased limb is not expected to heal and if the patient’s life is endangered as a result. Possible causes include circulation issues, infections, cancer, or a congenital malformation of the limb. In these cases, it is usually known well in advance that an amputation will become necessary. In contrast, sometimes it is necessary to amputate unexpectedly, due to a severe injury after an accident. A bi-lateral amputation involves the removal of two limbs. Depending on the level of amputation and condition of the tissue and skin, a number of early post-operative management approaches are available. Several types of postoperative dressings can be used to protect your limb while it heals. The general goal of post-operative dressings is to protect the limb while it heals, help control edema (swelling), provide varying amounts of compression and prevent any contracture (stiffness) at the joints. Some surgeons and rehabilitation physicians will recommend custom fit temporary prosthetic devices to help ensure the success of your rehabilitation. The purpose of these early prosthetic devices is to help get you moving or working with a prosthesis as soon as possible. Early use can really help with creating a positive attitude, with setting goals, and to help prove that you are going to be able to use a prosthesis to accomplish those goals. It is important to understand how your unique goals and specific needs can be matched by the custom design and characteristics of a prosthesis. By meeting with the physician who will manage your care 6-8 weeks after surgery to create a plan for your rehabilitation, you are giving yourself the best chance for success. The physician serves as the team leader, providing a prescription for your prosthetic device, arranging physical therapy and referring you to the prosthetist who will be for you. After you have met with your physician and created your care plan, it is time to begin the process of creating your prosthetic device. It usually takes 6-8 weeks of healing time after surgery to make sure your limb is ready to be fit. Since all prosthetic sockets are custom designed, we take a mold of your residual limb and create a custom fitting prototype prosthesis directly from this mold. To provide you with the best fit possible, we start by building prototype prostheses. The first time you are fit with your prosthesis several adjustments will have to be made. We make sure the height is correct, that the socket is comfortable, that it is aligned properly and that you understand how to take it on and off by yourself. You will start wearing the prosthesis for a few hours a day and slowly increase the wear time so your limb can accommodate to its new environment. If this is your first time with a prosthesis, your physician will recommend physical therapy or occupational therapy to help you learn how to use it properly. We will work along with your therapist to make sure the prosthesis is always doing its job and not slowing you down during rehabilitation. After you have worn the prototype prosthesis for a while, we work with your schedule to begin the process of fabricating a definitive prosthesis. We want to make sure that it is comfortable and you are able to use it to complete the list of goals or tasks that your team has helped you identify at the beginning of your journey. Depending on how complex your device is, the fabrication process could take anywhere from one day to one week. Many important steps go into making your definitive prosthesis lightweight, strong, highly functional, beautiful and most importantly, as close to the perfect fit of the prototype prosthesis as possible. The fitting and delivery of your definitive prosthetic device is an important day. It’s the moment we have worked together for over the days, weeks and months. During this appointment, we make sure that your prosthesis fits perfectly, that it is comfortable and that your functional goals have been met or you are in the process of reaching them. ?It’s important that your prosthesis is of value to you, that it is helping you get to where you want to go, and do the things you want to do. Delivery day should give you a sense of liberation or freedom. You’ve accomplished a lot. By this point, we’ve been through a lot together and the only thing we know for sure, is that we will see each other again. We will continue to work with each other when you need adjustments to the prosthesis, when you have quesions, or want to pay a visit. It’s important to remember that this is not the end, it’s just one step along the journey of a thousand miles. You will have follow up appointments with your physician, and with us. We encourage you to come back to our office 30 days after your delivery day just to check on things to make sure all is well, or make any fine tune adjustments to your prosthesis. ?From that point on, follow up appointments are on an as needed basis. Anytime that you need us, just call. That is what we are here for. When you are having difficulty making your prosthesis fit right, work right or just need some support, give us a call a set up an appointment to see us. ?There will come a time when together, we can’t make your prosthesis comfortable any longer. Then, we call your physician, set up an appointment for an evaluation of the situation, and will most likely begin the process or the journey all over again together. Creating a definitive prosthesis is simply a snapshot in time. It is the best fit that we can create for the shape of your limb right now. From this point on, what we know is that the prosthesis we’ve created will stay the same, but your limb will likely change. These changes may happen slowly or quickly, due to your activity level, weight gain or loss, and lifestyle changes. As you change, we can make changes to your prosthesis, and upgrade your technology as your needs and your body change. We will help teach you how to maintain a comfortable fit every day by using socks to help stabilize your limb inside the prosthetic socket. This process of trying to hit a moving target will continue for as long as you wear a prosthesis, but eventually it becomes very intuitive and you become a pro at making your socket fit every day. You will probably need 1 or 2 new prosthetic sockets in the first two years after surgery. After the first couple of years wearing a prosthesis, your limb will likely change more slowly, and you may only need a new prosthesis every 3 to 5 years, depending on your activity level and how your limb reacts to the right fit.